How many times were you told not to play with your food as a child? 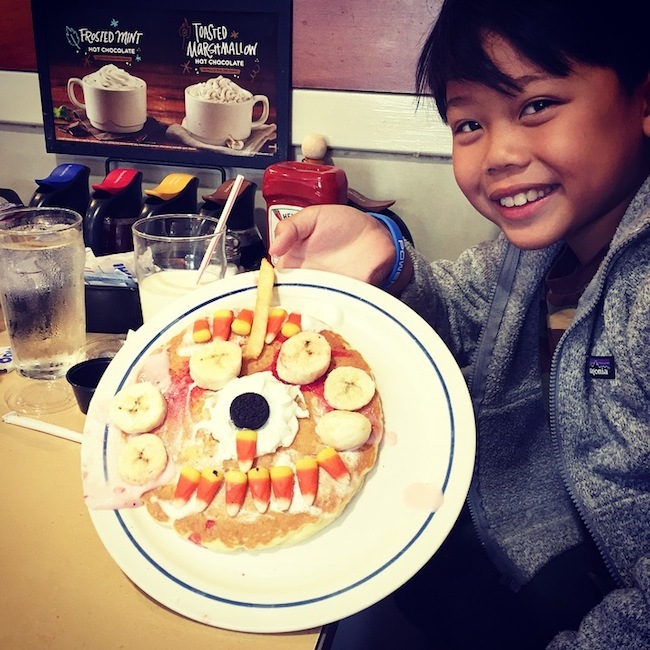 For all of us with a inner hidden Picasso in us IHOP encourages it. I see you judging me for eating there! HA. Alright, alright you don't need to lower your standards to eat there; but the idea is a good one to steal and DIY at home. Or do you already make fancy pancakes at home? 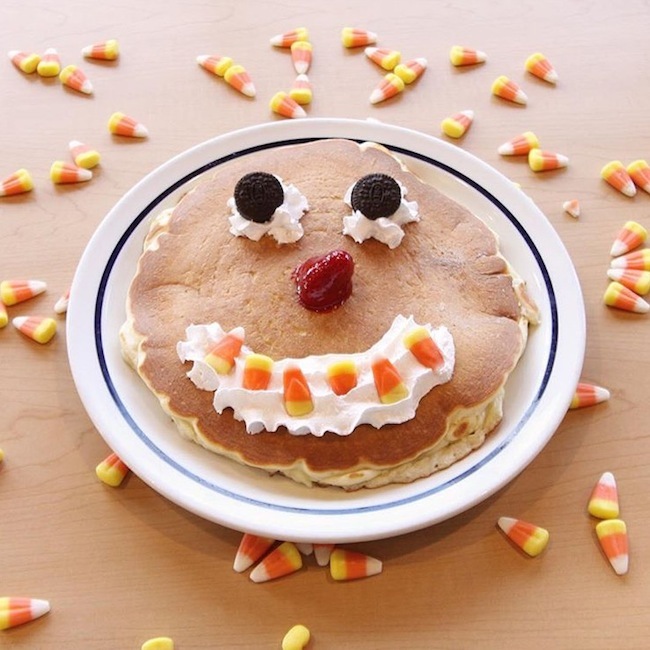 This is IHOP's scary face pancake month, till the end of October for Halloween. 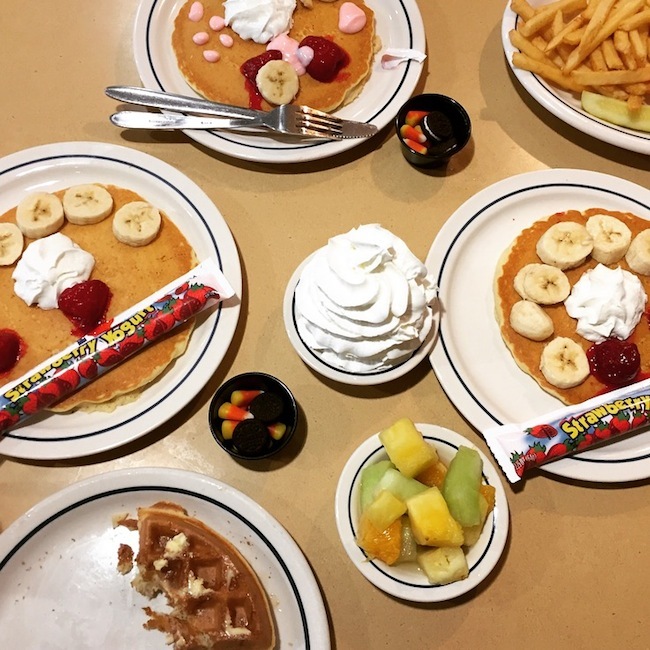 The props your given with your pancake are strawberries, whipped cream, strawberry yoghurt, candy corn and Oreo's. 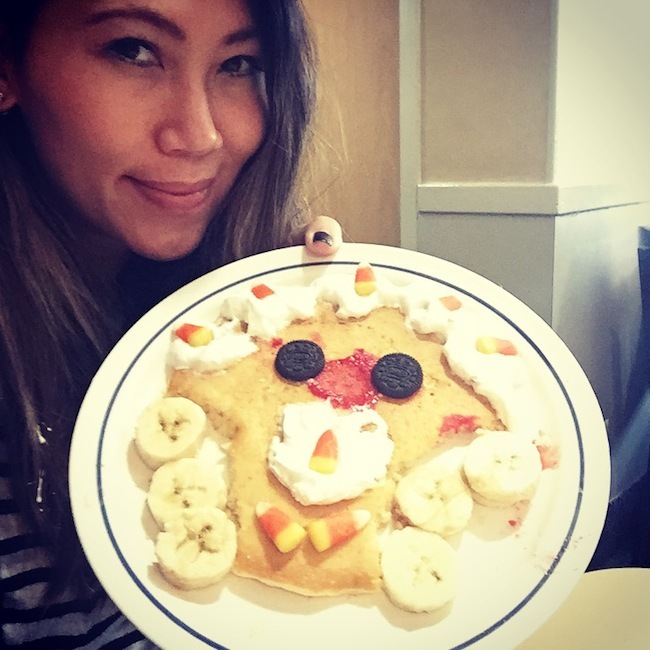 Our creativity looks nothing like IHOP's example. HA. But hey! it was a cute and a fun arts & craft project for me and my kiddos. The big kid thinks he's too cool for this, and at first glance looks like he gets an F for effort. 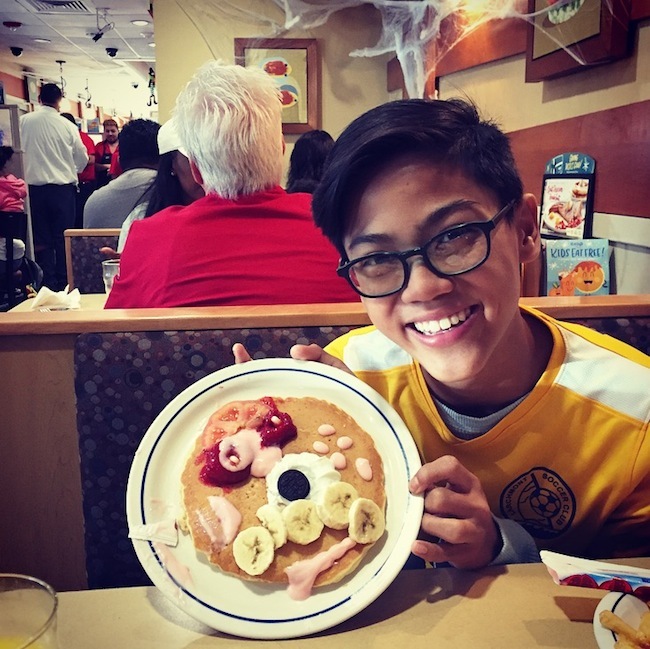 But when critiqued he said he gave his pancake face exploding pimples!!! HA. The struggles of a 12 year old!